Desert wildlife served up on a tile. 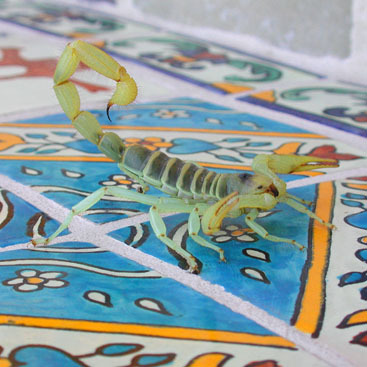 Scorpions don’t hold much of a threat. They just look a bit intimidating. This photo was taken in 2003 in Wonder Valley. I did a run of postcards of this image as well as 12×12 archival prints. All images are available by contacting magentaRaven.